Asia is a vast continent, so large that it takes up a third of the entire world’s land area. This automatically makes it the most populous continent on the planet. Asia is a continent of uniqueness, fascination and bewilderment all brought about by its cultures, economies, populations, landscapes, plants and animals. The oldest civilizations, highest peaks, populous cities, and tallest buildings are all found in Asia. 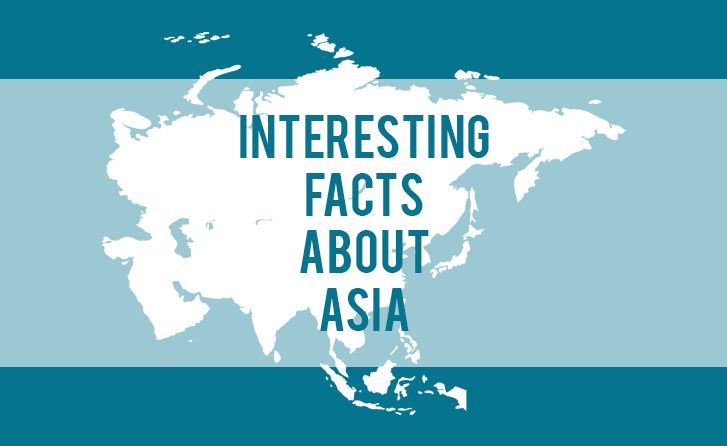 Below you will find our curated 40 interesting facts about Asia. 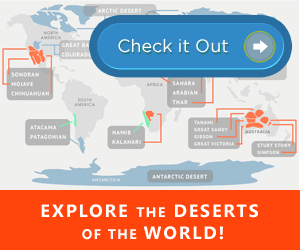 Facts about culture, geography, animals, plants, and more! Asia’s population-of over 4 billion people-is greater than that of the all the other continents combined. In China, it is not uncommon to come across canned fresh air on sale. This is due to the widespread air pollution that has rocked the country due to its expansive industrialization. Both the highest point on land, Mount Everest (over 8,848 meters above sea level), and the lowest point on land, the Dead Sea (-395meters), are found in Asia. It is continent of varied landscape. Everyone in Vietnam has the same birthday, which is celebrated on the Vietnamese New Year (aka Tet). Day one of the lunar calendar marks the beginning of a new year, and as a result, the Vietnamese, alongside the Koreans, calculate age based on the number of lunar years that have elapsed. Sill on the New Year, Thailand celebrates this event (known as the Songkran festival) not on 1st January, but sometime in mid-April, for three days. Even more bizarre is the way Thais celebrate this day-using water guns and water pistol to spray each other. In 2005, a Chinese billionaire built the world’s largest shopping mall in in Dongguan, China. It is so big, it boasts of an indoor rollercoaster. What is even more interesting is that fact that since it opened, 99 percent of the mall has remained unoccupied. Like many other nations, North Korea does have a Christmas festival, but not to celebrate the birth of Jesus Christ. Instead, Koreans celebrate the birthday of Kim Jong II’s mother, on December 24. China is so wide that naturally, it should cut across up to 5 separate time zones, but oddly enough, it has only one national time zone (China Standard Time). Japan is a wonderful place to live in, just as long as you don’t get fat, because it is against the law. India is the world’s leading producer of Mangoes. Every year it produces about 12 million tons of the fruit. Of the top ten tallest buildings in the world, nine are found in Asia. Only two countries in the world, India and China, have a population above 1 billion people, and both of them are in Asia. The ten largest shopping malls in the world are all located in Asia. India is a country of interesting customs. One of the most peculiar one is that people eat with their right hand only. The left hand is out of limits because it is used for other purposes-like wiping oneself after using the toilet, instead of using toilet paper. Afghanistan’s National Game is not soccer, basketball, tennis; it is goat grabbing. Only one country in the world has banned tobacco sale. It is called Bhutan, and is found in Asia. Being over 100 years of age is amazing. In Japan, there are over 50,000 people who have surpassed the 100-year mark. Sholapur is no typical Indian town. It has a bizarre tradition where newborns are thrown from the top of a 50-feet-high tower to symbolize health, wealth and good fortunes. In China, it is common for children to be named after events. What is interesting, though, is that there are over 4,000 people named Aoyun, or “Olympic Games”. The world’s most spoken language is not English, but Mandarin Chinese, which boasts of over one billion speakers. The Arabian Desert found in Saudi Arabia is the world’s largest continuous sandy desert. Many countries boast of two, three of even five official languages. India alone has 30 of them while Indonesia brags of 12. The original merchant farmers were all from Asia, not Africa. The second oldest people in the world are the Japanese. They have a median age of 44.6, coming second only to Monaco’s people. Although the pop culture paints all Asians as one the same, they are not. Japanese, Chinese, Koreans, Indians, Arabs, and many more cultures are vastly different. Most Chinese action movies had characters with a very unique hairstyleh-a tonsured beard and pigtail. Well, that is not a fashion trend. It was actually a state enforceable law whose violation was punishable by execution. Asia’s size and position makes it the only continent that borders two other continents, Europe and Africa. Sometimes during winter when the Bering Sea freezes, Asia joins with North America. Out of the three largest economies in the world, two are in Asia-China (second), and Japan (third). Some of the most fascinating and revered animals-the tiger, giant panda, king cobra, Komodo dragon, and Asian Elephant-are all found in Asia. In 2013, the world’s most toured city was not New York, London, or Paris; it was Bangkok, Thailand, which recorded the highest number of international arrivals. The ratio of mobile phone to people in North Korea is roughly 1:12. This means that in every 100 citizens, only 9 have mobile phones. North Korea thus scoops the global award for lowest mobile phone density. Asia is one of the fastest growing economies in the world. That said, it is also home about 44 tribes with absolutely no contact to modern civilization. They live alone, in the jungles of Indonesia and Papua. Some Asian countries have more mobile phones is use more than the total population. Hong Kong, for instance, has 2.36 mobile phones per person. According to the WHO, Japan’s life expectancy is the longest in the world-87.3 years for women, and 85 years for men. As of 2012, there were more millionaires in Tokyo, Japan (460,700), than in New York City (389,100). Only two places on the planet are home to wild orangutans-the island of Borneo (shared by Indonesia and Malaysia) and Sumatra (Indonesia). Both of these places are in Asia. Turkey is home to the world’s tallest man (8 feet, 3 inches). The world’s tallest woman (7 feet, 8 inches) comes from China. Indonesia is made up of over 17,000 islands, effectively making it the world’s largest archipelago.